This week I was reminded of how we should all be thankful for the little things in life. A stroll on the beach with family, a dinner cooked for you after a long day at work, the hugs and giggles of your children, the wagging tail of your ever so happy puppy who can’t wait to smother you with kisses, watching football or a movie on a Sunday afternoon with friends and family, for all these little things… I am thankful! Be thankful if you wake in the morning and can hear the birds singing outside. Be thankful if you can open your eyes and can see. Be thankful if you can touch your feet on the ground in the morning and walk. Be thankful if you can smell and taste your food. For our five senses, for our health, for these little things that we often take for granted… I am thankful! There are so many little things that we should be thankful for every day. There are big things out there that try to distract us from the little things. We often crave more instead of being thankful for the things we already have. We look at others who we perceive to have more and feel that we don’t have enough. Look instead upon those who are less fortunate and you will always feel blessed. There is a quote I like by Robert Brault that states, “Enjoy the little things in life, for one day you may look back and realize that they were the big things.” For this quote and for all the little things in life… I am thankful! 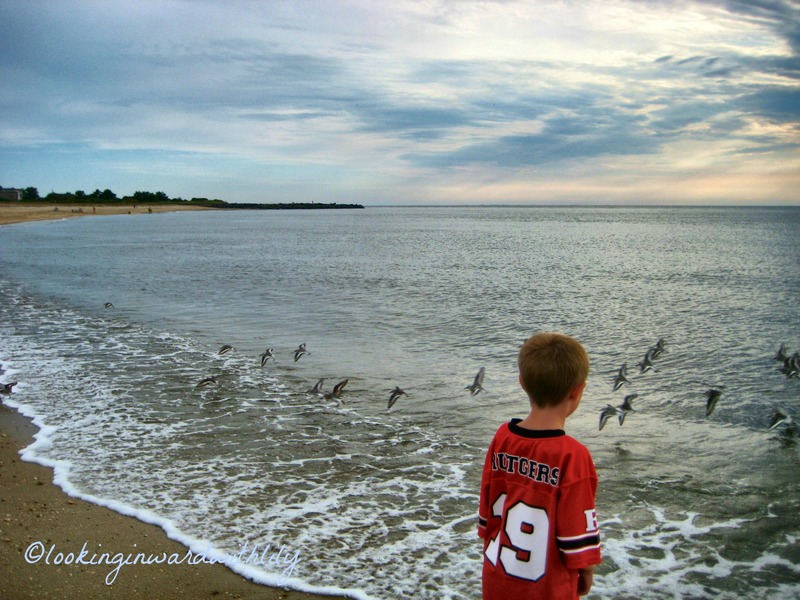 This entry was posted in Family, Photography, Thankful Thursday and tagged Beach, Birds, Family, Football, Friends, Inspiration, Nature, Photography, Positivity, Quote, Robert Brault, Senses, Thankful Thursday. Bookmark the permalink. Oh, I loved this Thankful Thursday! And I love that quote – it’s good to enjoy the life we are making! I like to live a life of gratitude. It helps me stay in the now and to be happy and appreciate all that I have – especially that which is not tangible! Beautiful words! We should all be thankful for the little things. They are truly a gift.